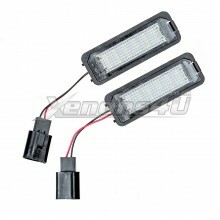 Do you want to upgrade your ride with the Best Led License Plate Lights? If so, then License Plate Light replacement is the way to go. Maybe the idea of led license plate light upgradation doesn’t seem so cool at initial phases, but going for a transition from the routine usage of light bulbs for the number plate to switching to LED bulbs, is kind of a simple upgrade that can make a lot of transformation in the long run. 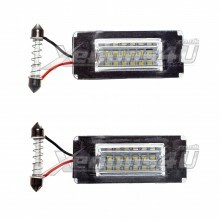 License plate light bulb replacement will not only spice up your vehicle, but there are also many more benefits that come with Led Number Plate Lights, as compared to regular number plate bulbs. 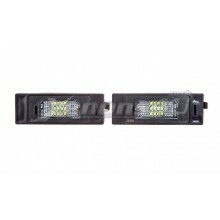 Those benefit includes the reasonably cheaper prices, with easy and time saving installation processes which require only 5 minutes for each side, just pop out the old units and put the new led license plate light units back. 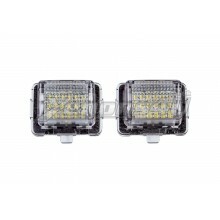 Here, you are welcome to choose the best Led License Plate Light, which is ideal for your car type and your pocket too. 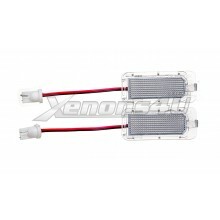 Xenons4u allow you to go for a wide selection of different LED Number Plate Light units for various cars manufacturers such as: BMW, Audi, Mercedes-Benz, VW, Vauxhall, Mini, Porsche, Land Rover, Citroen, Peugeot, Volvo, Nissan, Opel and many other. To find correct units, please select car manufacturer and then search for your vehicle name in the title or use search field. All our Led License Plate Light units are certified, road legal and made to the highest quality standards to match OEM quality. To upgrade old lights at fraction of price to super bright cool white color is no longer stressful when we are here. All our items are road legal and canbus (error free). 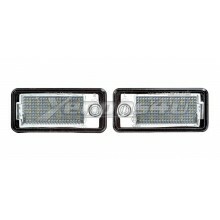 If you are unable to find correct rear number plate lamps for your car, please contact our customer support for help.